This tab is used to edit the ping monitoring parameters. 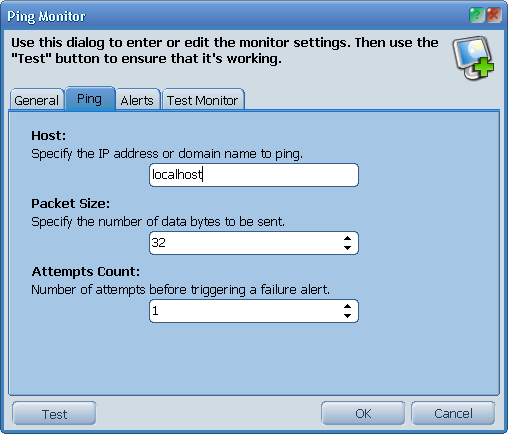 Specify the host to ping, the packet size, and the attempts count. The Attempts Count is the number of consequent pings, that ProtoMon should perform in a single check before treating this check as failed.